DC’s cast of colorful characters are nothing if not malleable. Years of creative Elseworlds stories, Batman Ninja, Gotham City Garage, Bombshells—I could go on, but you get the picture. 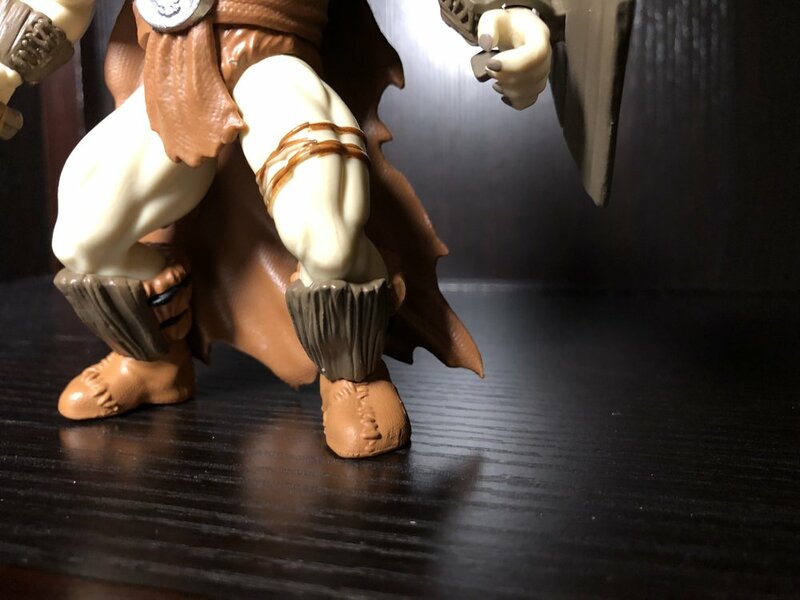 So while I couldn’t help but laugh when I first saw Funko’s Primal Age line of ancient, warrior-clan DC action figures, I wasn’t really surprised. 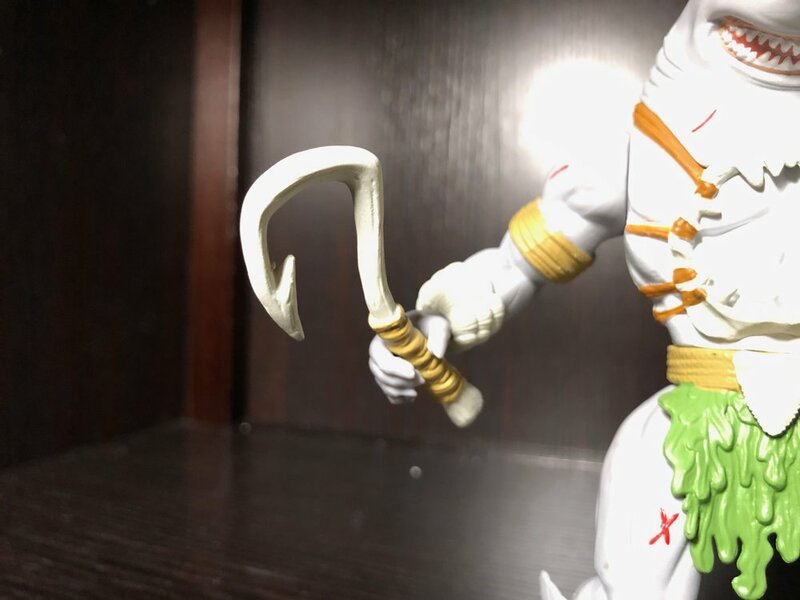 After seeing Primal Age up close and personal at Toy Fair in February, I succumbed to curiosity, and I asked Funko to send some out so that I could review them for Batman News. If you’ve been wondering what to make of these, read on! 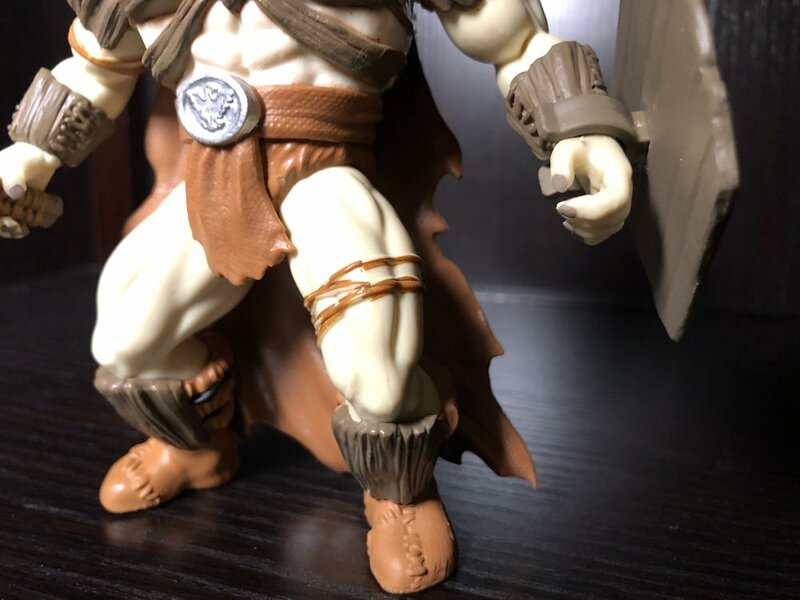 If you’re used to Funko’s numerous popular vinyl collectible lines, the biggest difference in Primal Age’s packaging is that it isn’t resealable. Whereas Pop!s and Dorbz have boxes with plastic inserts, these figures—like Funko’s Stranger Things line of action figures—come in blister packs. So you’ll need to commit to displaying them in the package or out, because once you open them, the decision is made. 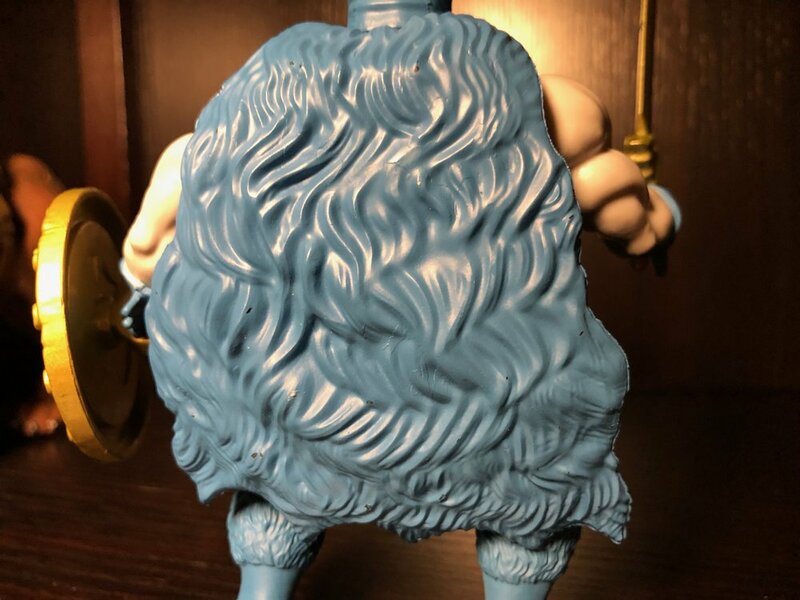 Considering that Primal Age debuted at Target, though, I suspect the target audience might be children, and not collectors. 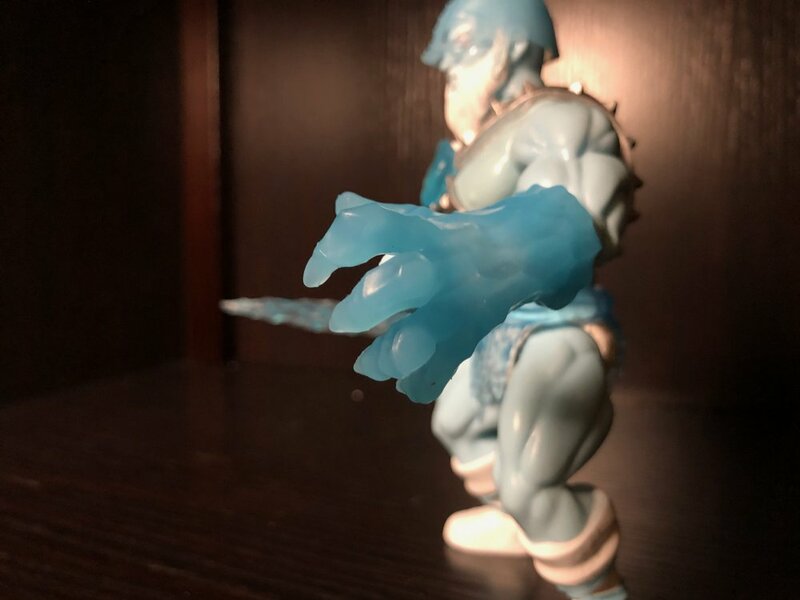 With the exception of King Shark, all of the figures Funko sent me feature six points of articulation, with (forgive my toy industry ignorance) post joints at the arms, waist, and neck, and ball joints where the legs connect to the body. 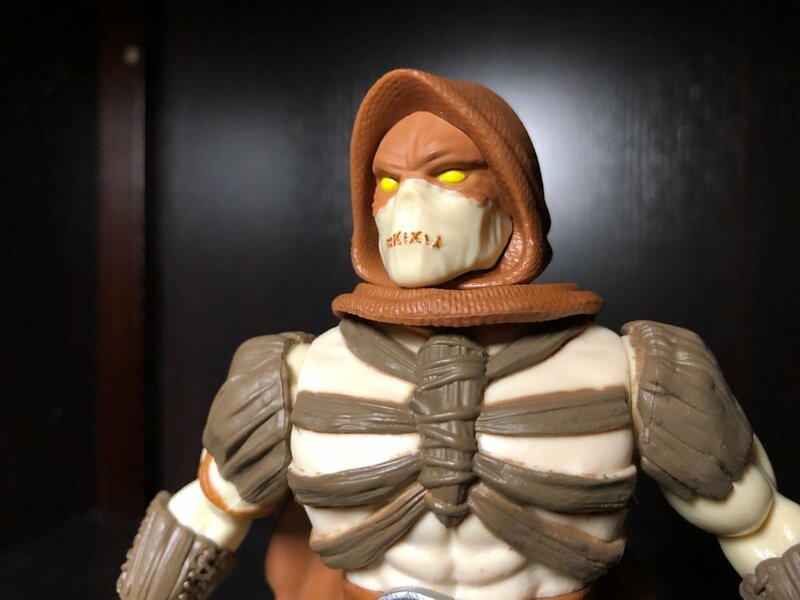 This limits your display options somewhat, but it also makes for a sturdier figure with fewer points of failure and wearing out. At any rate, my youngest son hasn’t complained about how he’s able to position his guys. So here’s where things get interesting. If the target audience is indeed children, I think it might be a tough sell. Yes, kids know Batman, Superman, Wonder Woman et al really well, but will they want them in this cave warrior aesthetic? I honestly don’t know. If not, then it’s a question of whether or not enough adult collectors will scoop them up. As for the designs themselves, most of them are neat and fun, and a few of them are actually quite clever. Batman is, unsurprisingly, one of the clever ones. 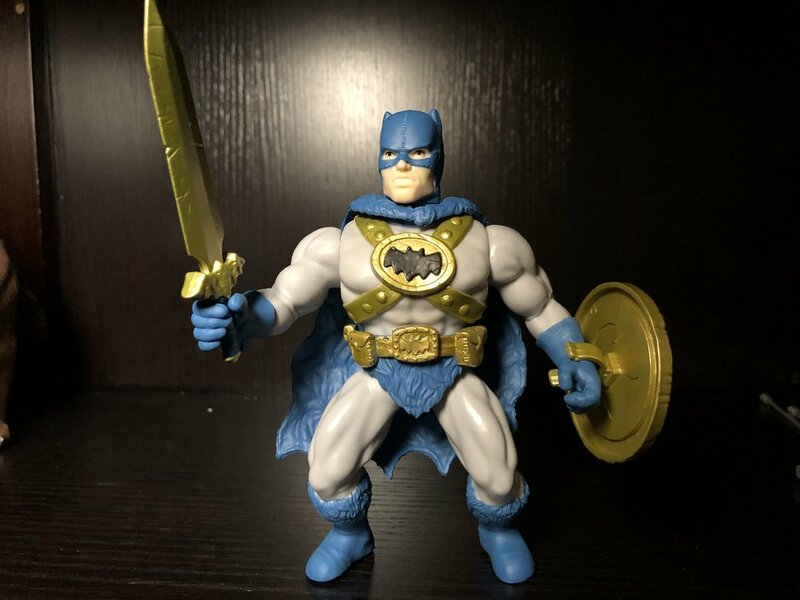 The core elements of the batsuit are all here, with a loose loin cloth replacing trunks and gold standing in for yellow. Of course, he also has a righteous sword and shield. I particularly like the furry look of the loin cloth and cape, and the stitched-together look of the cowl. 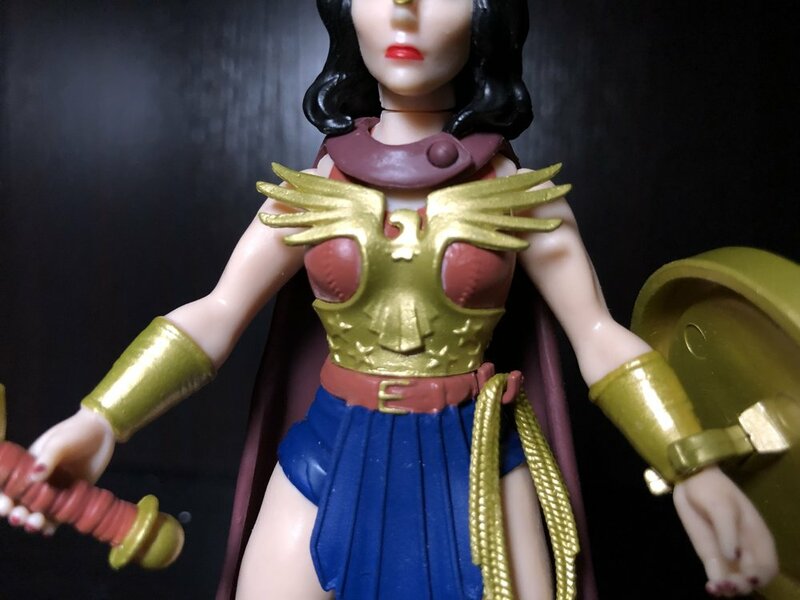 Given Wonder Woman’s roots in Greek mythology, and varying levels of ancient aesthetics in her costume over the years, I’m not surprised that the Primal Age Diana is the one that looks the most like a conventional comic book design. 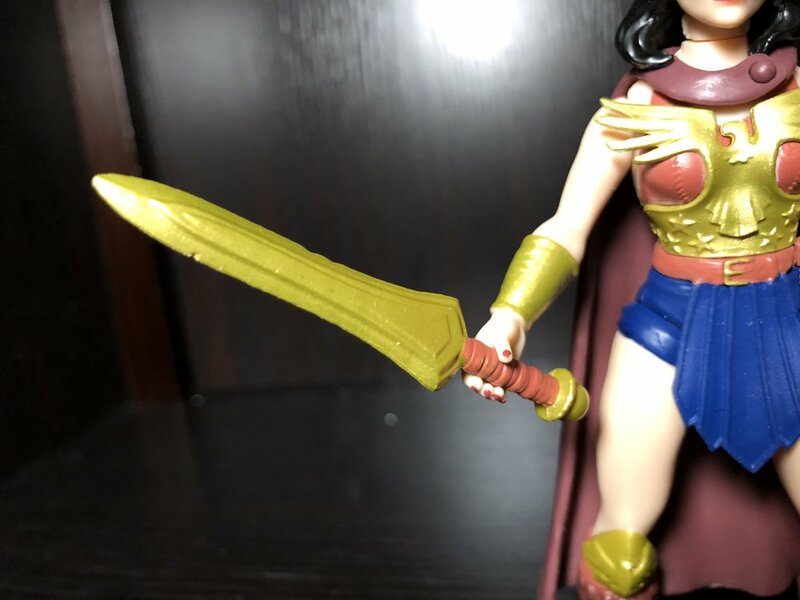 She’s got the fur tops on her boots, and her sword looks like nothing we’ve seen on the page, but other than that, I could imagine this coming from Frank Miller or Andy Kubert. While her look is great, she’s very hard to stand up, and it took me a bit to pose her for these photos. The lasso is also permanently rolled up, which makes it somewhat less useful. 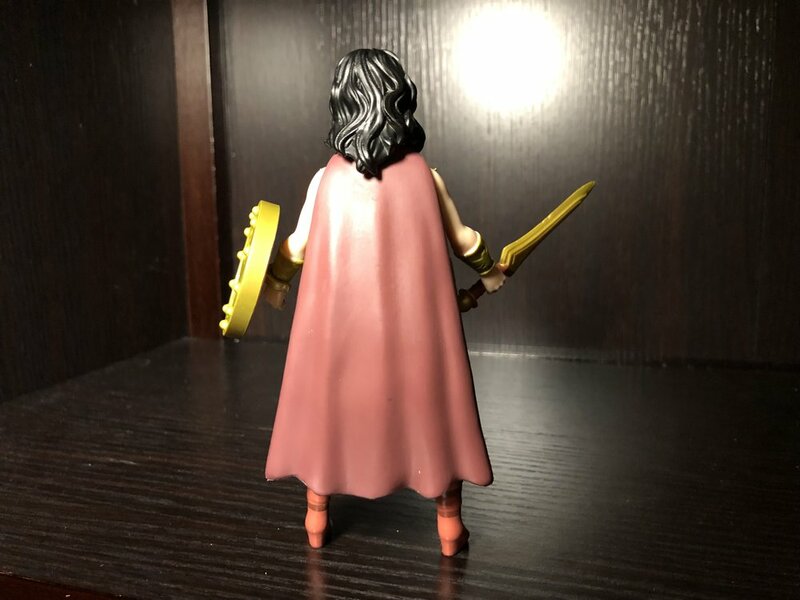 And if you’re a kid playing with this instead of an adult collector, then you may become frustrated with how easy it is for the lasso to come off of the hook at Diana’s side. 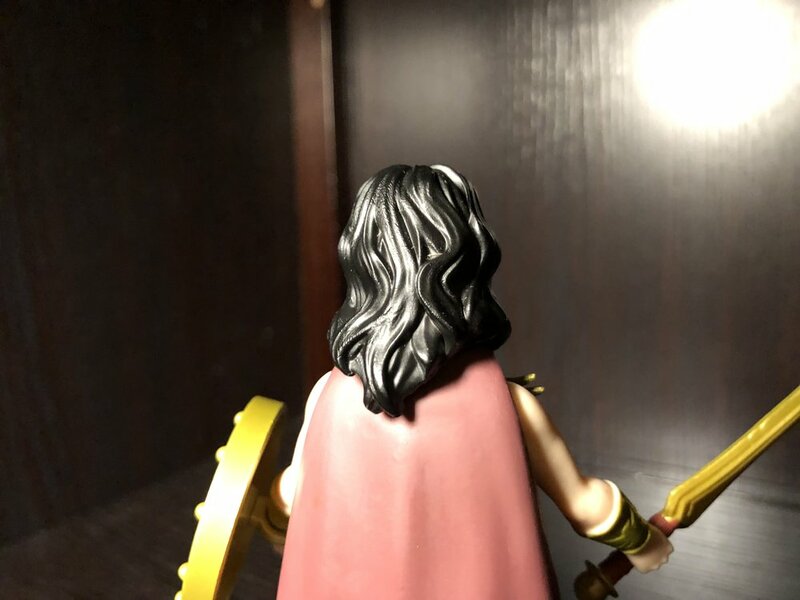 With a display-only lasso, I think maybe Funko should have permanently attached it to her side instead of making it removable. 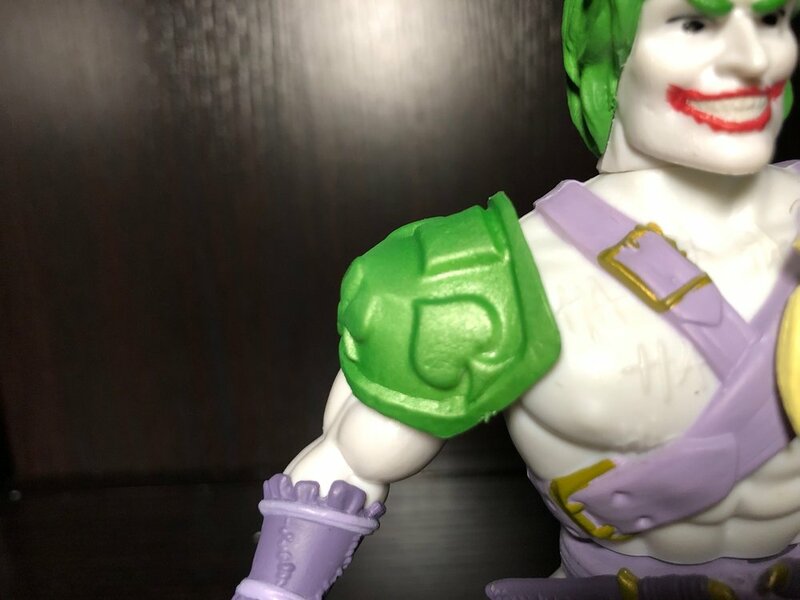 Joker is pretty basic. 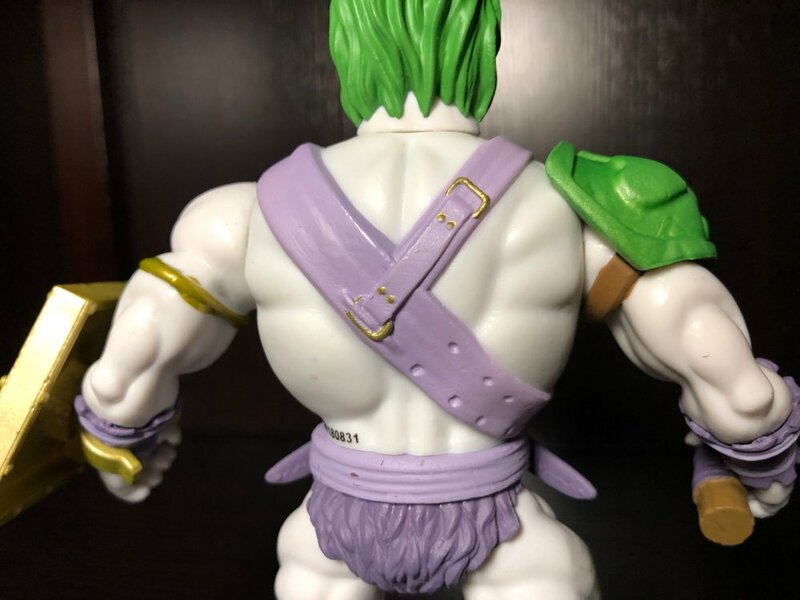 He has his green hair and red grin, and there are playing card elements sprinkled throughout, but he’s basically a white and purple figure wearing next to nothing. He’s got a neat axe, I suppose, but this one is harder to get excited about than some of the others. 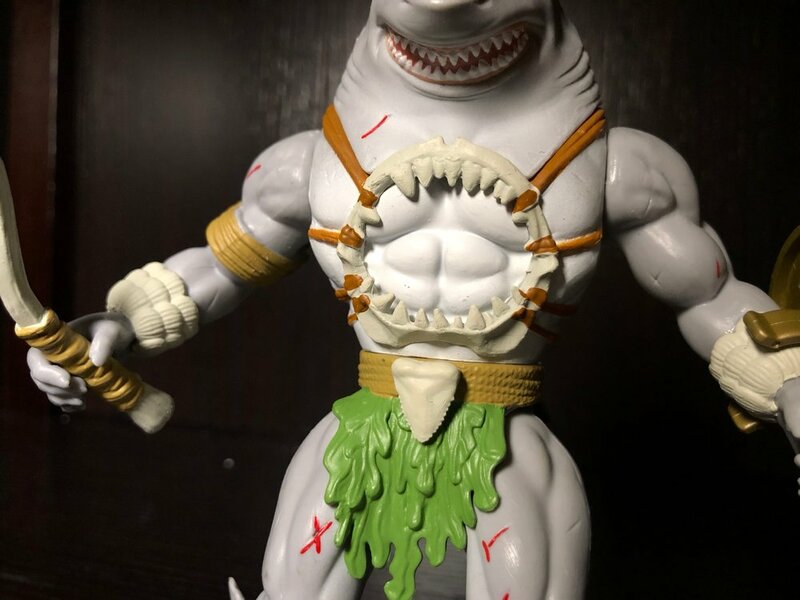 King Shark looks AWESOME. I mean, he pretty much looks like a shark-man with seaweed covering his unmentionables, but he looks amazing nevertheless. And as my son pointed out, he also looks like Moana’s Maui during one of his unsuccessful transformations. Aquaman is another one of my favorites. Of course they would go for the harpoon hand in a line like this, and it works perfectly here. 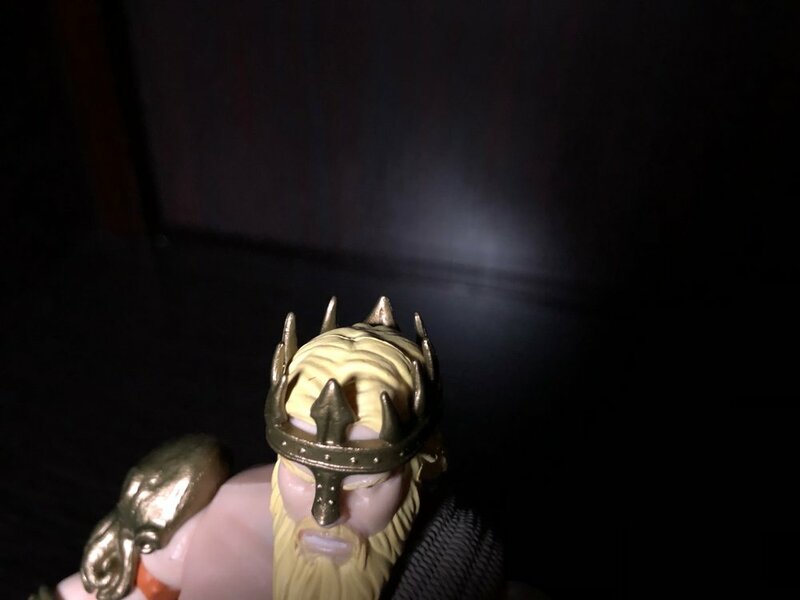 His trident is a righteous accessory, the crown makes lots of sense, and the squid armor plate on his right shoulder is perhaps my favorite thing in the entire line of figures. 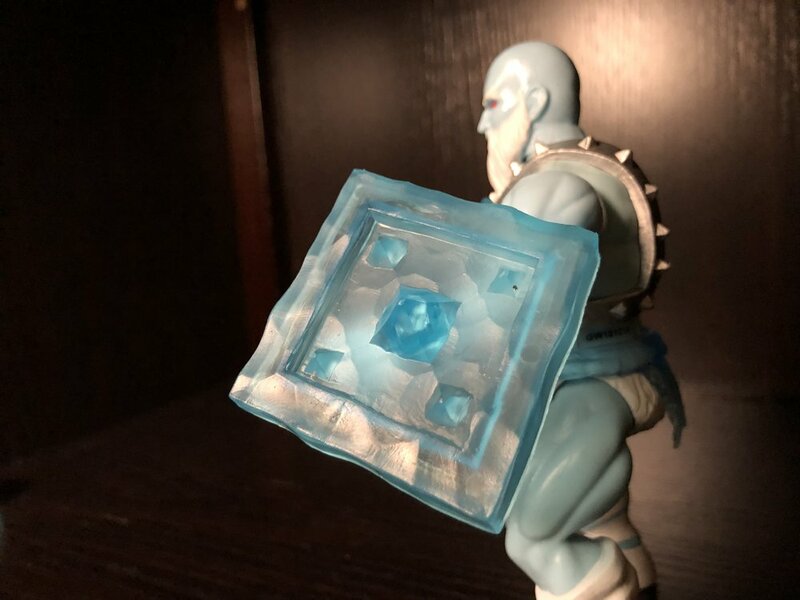 This…is a frost giant. The three most iconic elements of the modern Mr. Freeze costume are the helmet, the red goggles, and the freeze gun. None of those are present here, so the link is a lot weaker than with the other characters. It still looks neat, and if you already know who it’s supposed to be, I guess you can use your imagination. This is my least favorite of the batch. Hal Jordan is up there with Batman and Wonder Woman in being a very strong visual parallel to the comics version. 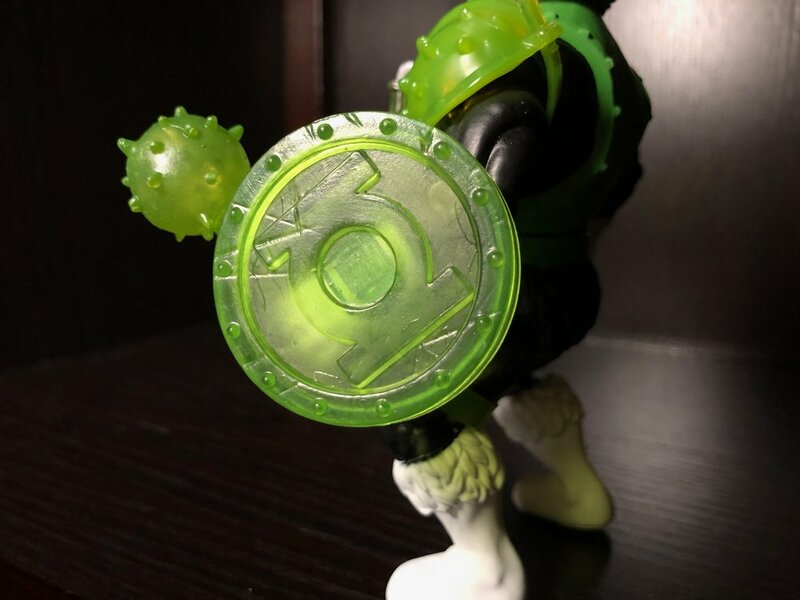 The green, black, and white elements are where they belong, and the translucent green weapons and shield are immediately reminiscent of ring constructs. 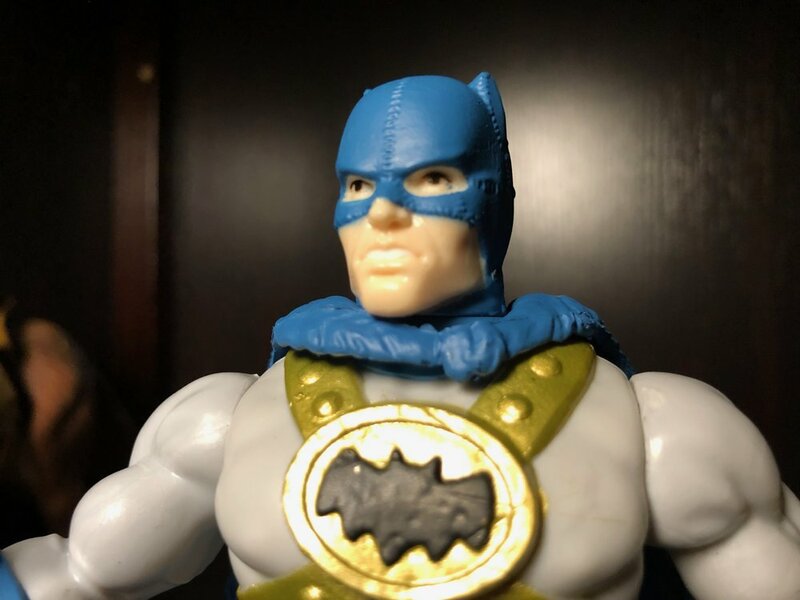 The lantern around his neck is a nice touch, too. Scarecrow doesn’t immediately suggest his comic book version, but there are some key elements here that playfully hint at it. The mask is the most obvious one, but the sickle and shield (which has a nice, black crow on it) are really cool, too. Primal Age also has a line of beasts for these DC warriors to ride on, and Funko sent two for me to evaluate: Ace the Bathound and “Joker Beast.” The latter, obviously, has no comic analogue (at least not one that I know of), but it’s easily one of my favorite toys in the whole line. 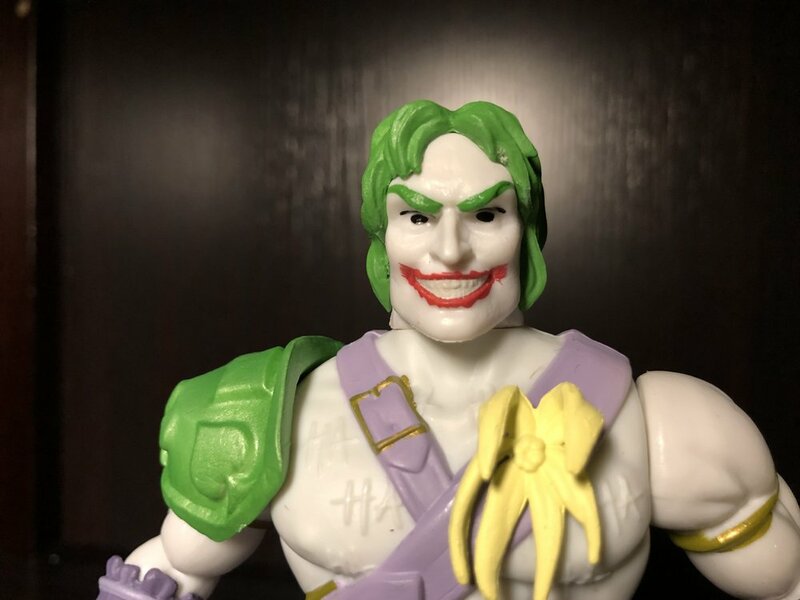 It just fits Joker so well, and its many-toothed grin is more mesmerizing than the Cheshire Cat. 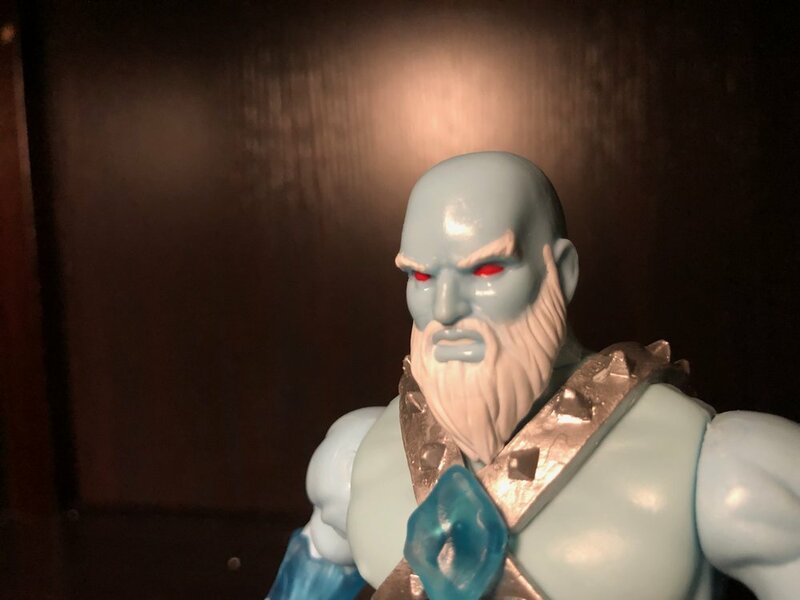 While the audience is maybe a little unclear, Funko’s Primal Age line manages to capture the essence of most of its characters. If you’re looking to add something uniquely Elseworlds-y to your collection, this would be a fun way to do it. And if you’ve got kids that are just as nerdy as you are (as I do), then they’ll probably enjoy playing with them, too—I know mine do.